An experienced litigator of patent infringement and other intellectual property and commercial cases, Don helps clients navigate the rules of a complex regulatory environment in order to reach their business goals. 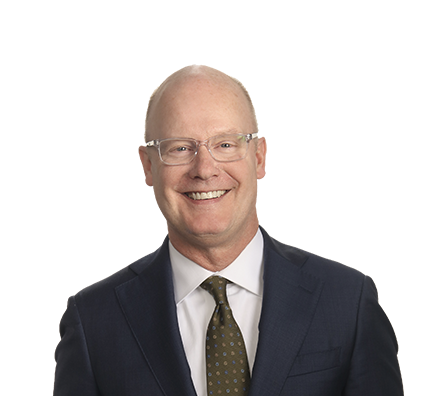 Don has extensive experience at the trial and appellate level litigating Hatch-Waxman statutory patent infringement and other actions involving prescription pharmaceutical drugs. These include Wellbutrin XL (bupropion), Intuniv (guanfacine), Megace ES (megestrol acetate), Dexilant (dexlansoprazole), Oxtellar XR (oxcarbazepine), Lidoderm (lidocaine), Ambien CR (zolpidem), Letairis (ambrisentan), Intermezzo (zolpidem), Livalo (pitavastatin), Strattera (atomoxetine), Androgel (testosterone), Axiron (testosterone), Restasis (cyclosporine), Adderall XR (mixed amphetamine salts), Clarinex (desloratadine), Amrix (cyclobenzaprine), Enablex (darifenacin), Cymbalta (duloxetine), Eliquis (apixaban), Luvox CR (fluvoxamine), Ryzolt (tramadol), Keppra XR (levetiracetam), Mirapex ER (pramipexole), Requip XL (ropinirole), and Wellbutrin SR/Zyban (bupropion). Among Don’s considerable patent litigation forums are injunction hearings, Markman proceedings, trials, and appeals. He has represented clients in patent cases involving a wide range of technologies, including pharmaceuticals, aluminum alloys, silicon on insulator manufacturing, computer software and ergonomic computer accessories. Before joining the firm, Don was Chief Assistant State’s Attorney in the Cook County State’s Attorney’s Office. Represented MedPharmex in a patent infringement case regarding its generic version of Merck's animal drug Mometamax. After initial proceedings, the Court entered a judgment of noninfringement in favor of our client. Successfully defended pharmaceutical manufacturer in U.S. International Trade Commission (ITC) against competitor's claim that generic drug was marketed unfairly. Aided Sigmapharm Laboratories in arguing for claim construction. Court adopted proposed construction verbatim.